Giorgio Brutini Loafers are the best choice for short men. These shoes have Cuban heels to fool the eye and can be worn to special events like your daughter’s wedding. The dark silver loafers are also very comfortable. 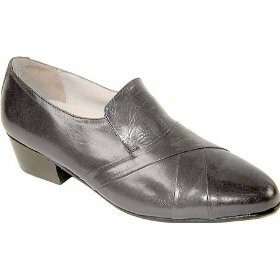 The Brutini shoes are 100% made of genuine kid leather (sole included).